Max Tolstoy with his coach Mark Leuba and some of the trophies won in Sweden. Max (15) arrived in Australia 10 years ago with his parents and holds Australian and Swedish citizenship. 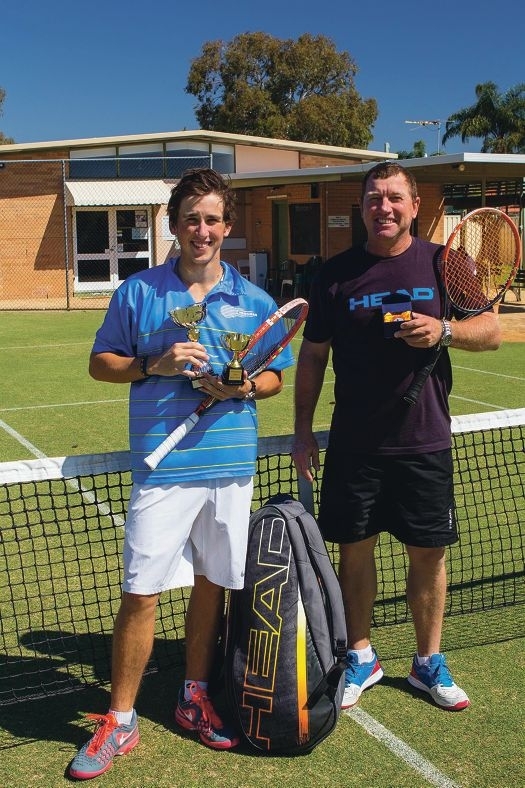 He started playing tennis fours years ago and discovered a natural talent for the game. He aspires to become a professional player, according to mum Rebecca Tolstoy. ‘He played hockey in primary school when we arrived,’ she said. In four years, under coach Mark Leuba, Max has earned a ranking good enough to represent Australia internationally.